I adore street art - though the first tugs on my heart strings. I just can't figure out how they manage to get that 3-D effect. 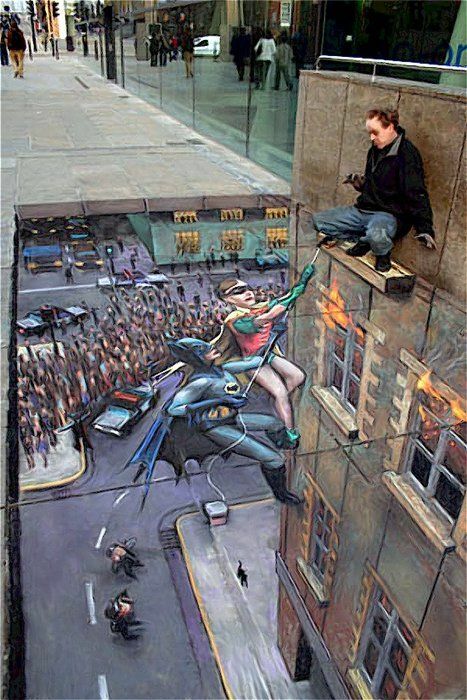 That Batman and Robin one is awesome. Mind blowing isn't it, Alex? Second one for me. I think it is really clever. I agree. It is clever, Andrew. 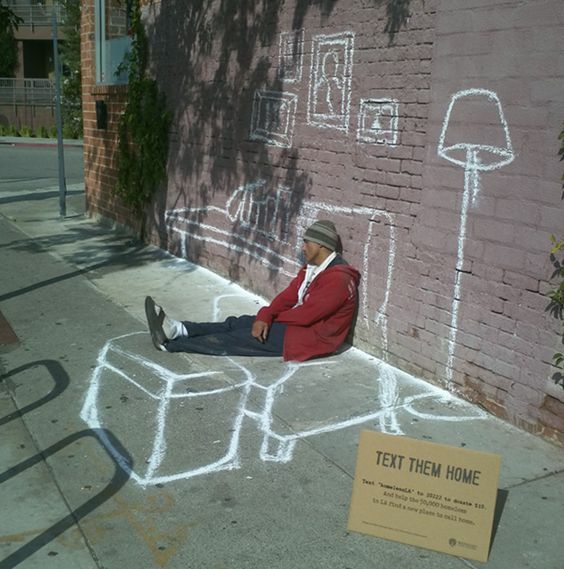 The first one really makes you think and feel bad for the homeless. 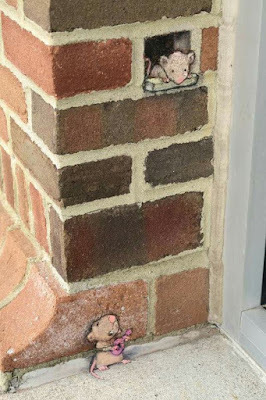 Love Ro so and Juliet mouse and the last one is so detailed and funny with the famous Batman and Robin scaling the wall. Yes that first one does make you think, doesn't it? Love these talented, wonderful artists and their art!!! Really love that first one. It tells a story doesn't it, Jamie? These always freak me out -- they're so darned GOOD! Here's to real homes for all. I love street art, but some of it can be so trippy. Like you could fall into the art. That's for sure. I guess that means they've done a good job. That one is just stunning, isn't it, Ro? The first one was so sad. My city, the mayor, the city council, and law enforcement "rounded up" all the homeless and told them to leave or they would be put in jail and FINED. We are hosting the NCAA basketball tourney soon, so the homeless had to be out of sight and out of mind. All "panhandlers" were sent packing. Please don't get me started! That last one scared me. I got vertigo just looking at it. Really! Oh my gosh, that's terrible about how the homeless are treated, Elizabeth. Yikes. Sorry about the vertigo. the mouse is cute and the last one is almost vertigo !!! The artists are talented aren't they? These are amazing Sandra! Holy!! That last one freaked me out, in a good way! LOL! Big Hugs! 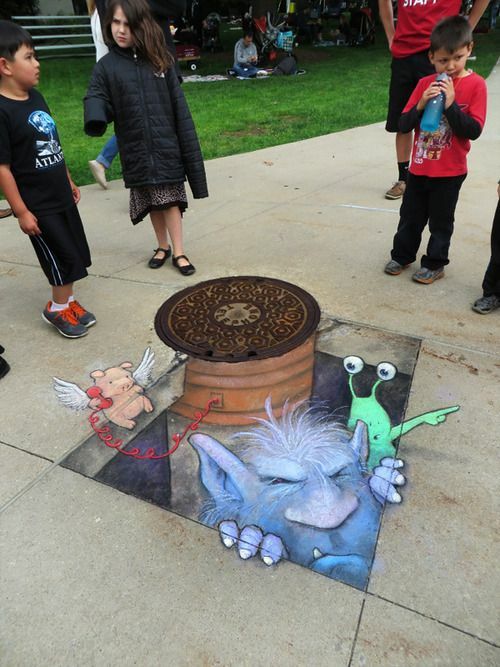 There are some talented artists out there. Thanks for sharing this mix.